Created specifically for the Skyrunner World Series, the USM is a serious challenge and includes tough terrain and at times, climbing expertise to grade 2 is required. The race, in many ways, is like no other race on the calendar. The sea provides an aspect rarely found in Skyrunning races as they more often than not, take place in-land, in mountainous areas. Leaving the town of Santana, the race heads into the mountains taking single-track, working a route that takes in the highest point of the island. From here, the route drops to the sea before finally climbing once again and returning to Santana for the finish. However, before the finish, runners must work their way up a river, boulder hopping; it’s a little spice to mix the racing up. For the ladies’ it was Hillary Allen who took the top honours, of course, our thoughts and best wishes go out to Hillary as she slowly but surely returns to fitness and racing after a horrific fall at Tromso SkyRace. So, who are the 2018 contenders for victory? One could say, that this year, the USM has the most stacked field ever in the history of the race. It’s a who’s who of the world’s best. Ragna Debats arguably tops the ladies’ field after her stunning victory at the World Trail Championships, add to this, a super solid 2017 season on the Skyrunning calendar, and she will be the one to beat. Gemma Arenas has raced in Madeira before and has had great success; she won! Gemma knows the course, knows the challenges and will certainly be in the mix. Malene Haukoy like technical race, she as placed well in Tromso and Glencoe and the 55km of USM will suit her. One to watch for sure! Hillary Gerardi goes from strength-to-strength, she likes technical, she loves vert and therefore USM is made for her. Her recent success over the VK distance and top placing at Yading in China means she is in great shape. Ekaterina Mityaeva like Hillary seems to get stronger with each race. She has just had atop placing at Transvulcania and I think it’s fair to say that the more challenging terrain of Madeira will suit her skills in contrast to the more runnable and faster, Transvulcania. Emelie Forsberghas been away from the sport over the winter concentrating on Skimo and just this weekend will race Zegama. Zegama for Emelie, despite great success in the past may well be just a little short and fast for this early in the season, so, USM will suit her far more. She is one of the best in the business and you can never rule her out. Martina Valmassoi was missing for much of 2017 with injury, she is now back and recently had a victory! USM will no doubt be a push this early in the season, but Martina knows the course and has done well in the past. Nuria Picas was always the one to beat in any Skyrunning race. In recent years, Nuria moved to the longer UTWT series and she excelled at the longer distance. In 2017 she raced Tromso and now in 2018, she runs USM for the first time. It’s Nuria Picas, so, expect something special. Anna Mae Flynn and Brittany Peterson both raced Transvulcania and just missed the podium. It’s fair to say that USM is far more ‘European’ than Transvulcania… the trails more technical, rutted and challenging, therefore it will be interesting to see how the duo handle the change. One thing is for sure, they both know how to run, Transvulcania showed us that! Mira Rai would probably prefer a longer course than 55km, however, Mira is always one to watch and USM will be no different. One thing is for sure, she will smile her way around the course. Jonathan Albon is the returning champ and based on his 2017 race and his overall SWS championship victory, it’s fair to say that he is the favourite for the 2018 win. His recent 4th at the World Trail Champs confirms good form and we all know he prefers technical and challenging terrain. Dmitry Mityaev gets stronger and stronger, he did well in 2017 and just recently made the podium at Transvulcania, Dmitry will be in the mix in Madeira, for sure. Marco De Gasperi was 4th in La Palma recently and admitted post-race that he didn’t take enough risks. This was primarily due to the races distance, he rarely races over 42km and Transvulcania’s 75km was an unknown. With USM being 55km, I think we will see a different Marco and is we all know, he is the Skyrunning master! Pau Capell is an interesting addition to the race. He is without doubt a master over longer distances and as we saw in 2017, he can do welt Skyrunning after a top run at Transvulcania. He is a savvy and clever runner and I expect him to trade blows with the best in Madeira. Andre Jonsson races everything and usually very consistently. He once led USM from the front only to be passed in the latter stages. I would anticipate he will have a similar tactic in 2018. Alex Nichols was a pioneer for American’s running in Europe on the Skyrunning circuit. In recent years he has moved to longer distances, in particular, 100-miles. He is a class act who manages to combine speed and technical ability – he is one to watch! Cody Lind had a tough race in China with a below par performance. That will have no doubt knocked his confidence, but I think we wills him back at the front in Madeira and looking to impact on the front of the race for atop-5and maybe podium. Franco Colle, Luis Fernandes, Daniel Jung, Armando Teixeira, Phillip Reiterand Fulvio Dapit make up the other main contenders for the male podium, it is going to be an exciting race! Action starts on Saturday June 2nd at 0600. Countdown to the 2017 #Transgrancanaria and everyone is registered and prepared to toe the start line at 2300 hours local time. It’s going to be a very competitive race both for the ladies’ and the men – Didrik Hermansen and Caroline Chaverot are here to defend their 2016 titles. In the men’s race, Didrik will have his hands full fighting off Diego Pazos, Yeray Duran, Pau Capell and Andy Symonds amongst others. Julian Chorier will not run due to a broken rib. From the heat and humidity of Costa Rica and The Coastal Challenge to the the Canary island of Gran Canaria and the Transgrancanaria 125km. This is my fourth year working on the flagship 125km race and once again it appears in the UTWT (Ultra Trail World Tour) calendar. 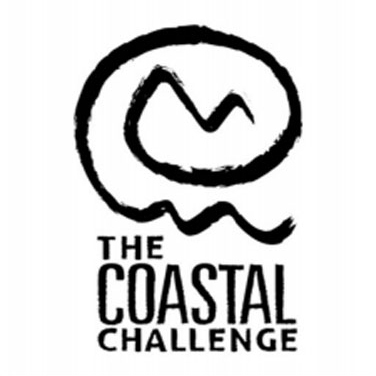 The race starts on Friday evening, 24th February at 2300 hours’ local time. If it was ever in doubt, this race is a tough one! With over 8000m of positive gain, each and everyone of those 125km’s will be felt by the the time the runners reach the finish. Starting on the north-west coast, the race travels south via the mountainous spine of Gran Canaria and then arrives at the finish, close to the sea in Maspalomas. The route is logical and therefore very appealing from a run aesthetic point of view. Over the years, the race has had some stellar performances and 2017 will see the return of the 2016 champions, Caroline Chaverot and Didrik Hermansen. Didrik Hermansen won the race last year with a high quality and well paced performance. 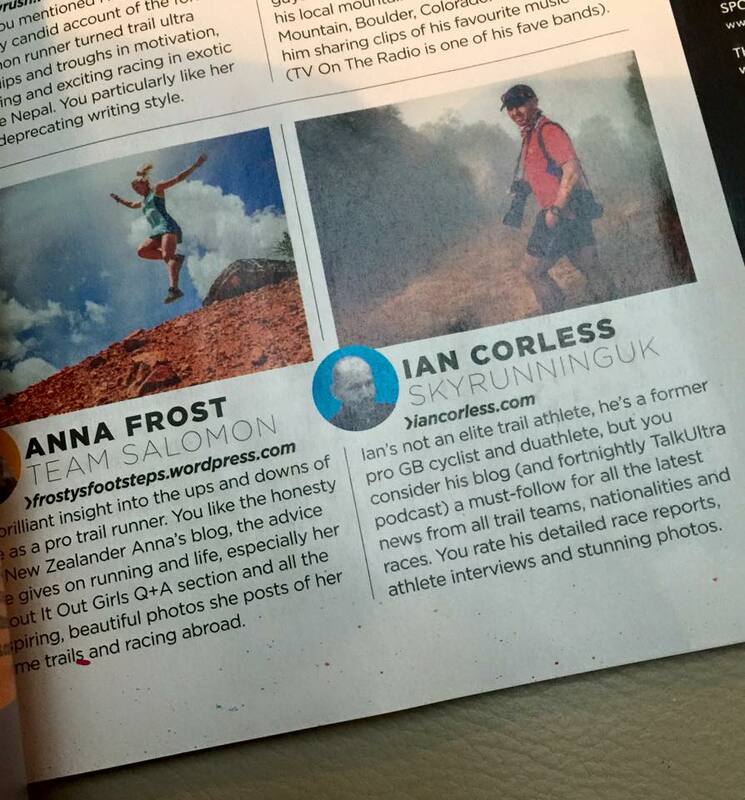 He followed Transgrancanaria up with a stunning Western States and world-class 100km races. Didrik can mix running and climbing and therefore goes into the 2017 race as the hot favourite. Fellow Norwegian, Sondre Amdahl, tells me that Didrik is in great shape! The UK’s Andy Symonds ran a stunning race in 2016 and placed 5th – I have a felling he will be on the podium this year! His 2016 season was solid one with UTMB being his only blip. A win at Lavaredo, 2nd at Buff Epic behind Luis Alberto Hernando and 4th at Transvulcania confirms that Andy’s stepping stones to longer racing is working – 2017 will be his year and I also hear he will be racing at Marathon des Sables. Diego Pazos finished 3rd last year and what followed was a steady growth in the sport. I predicted he was a ‘one-to-watch’ for 2017 and I stand by that. His victory Mont-Blanc 80km confirmed that he is on the up. Antoine Guillon placed on the podium previously and I have no reason to doubt that he can provide a repeat performance. In real terms, the podium may well be decided by those who pace themselves and come strong in the latter stages. 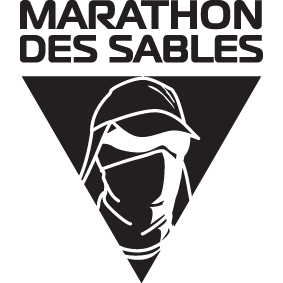 Antoine may well be one of these guys – he will be able to bring the ‘long game’ to the race, something he learned when he won Diagonale des Fous (Raid de la Reunion) in 2015. Yeray Duran is Transgrancanaria regular and is very popular within Spain and the Canary Islands. Arguably, it was Transgrancanaria that elevated his profile. He had a tough race last year but that blip is not indicative of how Yeray runs – I think we will see him up there this year. Julien Chorier is always a tip for the podium and victory – he is one seriously classy runner. He was 2nd at Transgrancaria in 2014 and 7th last year. 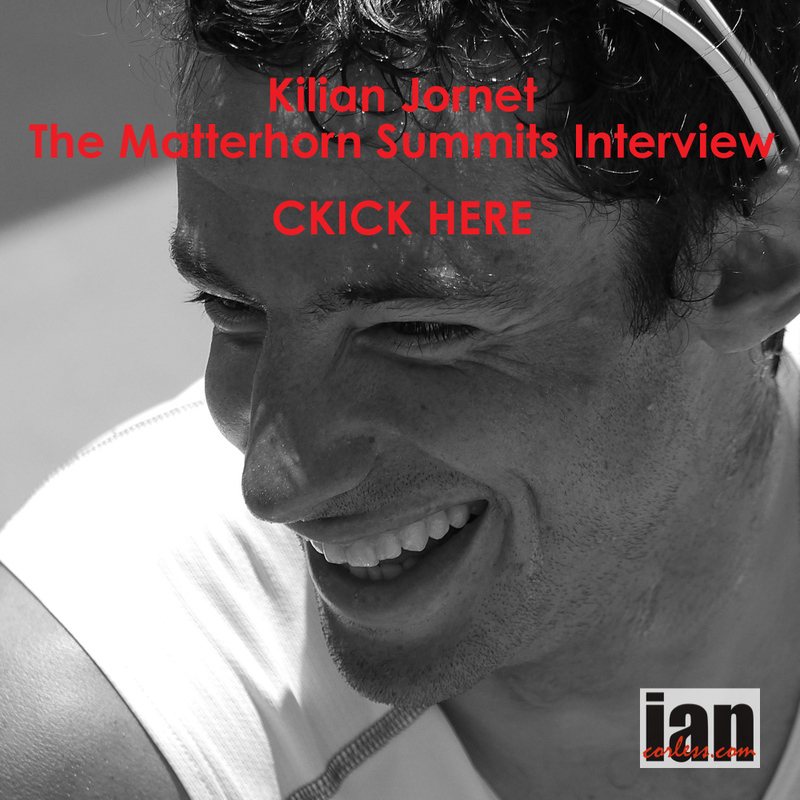 Mixing Hardrock and Western States shows that Julien can mix speed and climbing perfectly – one to watch for the top-5 for sure and maybe the podium! Timothy Olson has raced on the island before (2014) and placed 3rd. He arrived in advance of this years race to train and prepare, something he has done on many occasions for multiple races. Normally, I would be pushing Timmy for the win but for the past year or so, the form has been missing. So, it’s difficult to predict the outcome here in the Canaries. Can Timmy win? Absolutely! So, lets cross our fingers and hope that we see a return to 2013 when this guy was on fire! Pau Capell won the 85km event previously and last year held hands with Diego Pazoz and crossed the line for an equal 3rd place. He will be up there! Fabien Antolinus is a runner I first met at Les Templiers and since then he has continually impressed with his ability to mix speed and climbing to great results. Two years ago he was 5th at UTMB but for me, his performances at Ice Trail Tarentaise were stand out. He’s a top-5 contender for sure. Casey Morgan will keep UK interest high. He’s been up there at Transgrancanaria in the past and currently he is on a roll with a series of top quality victories. I last saw him race at Everest Trail Race and he was in great shape. He followed that race with another race victory in the Spanish mountains and just recently he raced in Hong Kong with great success. Fulvio Dapit has come close in the past and is often let down with stomach issues. He won’t make the podium but he will be up in the top-10. This race has Caroline Chaverot’s name written all over it and no disrespect to the other female competitors but I don’t see anyone coming close to this French lady. Caroline was on fire in 2016 and was for me, THE, female ultra-runner of the year. She was unstoppable with a sting of high-profile victories. In summary, anyone who wins UTMB, becomes UTWT champion, becomes Skyrunning World Champion and IAU World Trail Champion all in one-year deserves the upmost respect. I think she will win the race by at least 1-hour! I am going to throw a curve ball in and put my neck on the line with a stunning performance expectation from the UK’s Beth Pascall. She will be somewhat of a dark horse over in Gran Canaria but she has all the potential to produce a shock. She has with the UK’s Spine Race and the shorter distance, Challenge Race. She obliterated the ladies’ record at the Lakeland 100 and won the Hoka Highland Fling. One to watch! *Update 21st Feb, Beth will not race due to an injury to her foot. Andrea Huser never stops. She is like Michael Wardian and each time she runs I am amazed with her ability to recover and race again. She doesn’t have the speed of Caroline and therefore, providing Caroline has no problems. I don’t see the Swiss lady beating her. However, she has a list of results that makes the podium almost guaranteed – victories at Lavaredo, Diagonale des Fous and Swiss Irontrail and let’s not forget 2nd at UTMB behind Caroline! Azara Garcia and Gemma Arenas have set their tables out in Skyrunning races and we know that have speed and can climb with the best. However, 125km and 8000m of vertical is a long way and this may well be the downfall for the Spanish duo. Gemma probably has the edge over Azara as she has excelled at Ultra Pirineu with victory. For Gemma, I see 125km possibly being a real learning curve. Lisa Borzani likes the long and mountainous races such as Tor des Geants and Ronda dels Cims – that will set her up well for this tough and challenging Transgrancanaria course. She may lack the speed but as others fade, she will continue to push strong. Manuela Vilaseca was 5th at Transgrancanaria two-years ago and in this line-up, I believe the podium is a possibility – a win would only really come should Andrea and Caroline have bad races. Ildiko Wermescher would be a long shot for the podium but a top-5 and certainly a top-10 is a distinct possibility. 2016 seemed to be a below par year but 2014 saw the German lady place 4th at Transgrancanaria. Debbie Martin-Consani is my dark horse for a shake up in the ladies’ rankings. Like Beth Pascall, she is a Lakeland 100 winner and she has excelled at other 100-milers and races like Spartathlon, she ha s also raced in a GB vest. Word on the street (or the hills) is that Debbie has been going up and down those Scottish mountains to prepare for this 125km race. 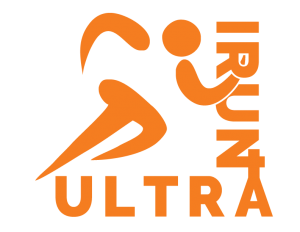 Ultra running to Spain is like football to the UK, the fans are a passionate motivated bunch of individuals who come together as a whole to create a cohesive army of fanatical supporters. Baga, the home of Ultra Pirineu is located in Catalonia; it may come as no surprise that the Catalans take support to the next level. The final race in the 2016 Skyrunner® World Series, the race was always going to be a competitive one! 110km in length, with 6800m of positive gain, the race takes place in the Cadi-Moixero Natural Park. On paper, the route looks almost like a badly drawn figure of eight laid on its side. The profile, a little like the dental record for a great white shark as it includes several key peaks, the highest coming very early in the race with just 14km covered at Niu, 2500m high. Comprised of primarily trail (75%), the route also includes a small percentage of asphalt and track. It’s a tough and challenging race that has often been made considerably more challenging due to inclement weather. The Cadi-Moixero Natural Park is the hub for the racing, established in 1983, it stretches more than 30km over the mountain ranges of Serra de Moixero and Serra del Cadi; both part of the Pre-Pyrenees. From the off, the racing is hard. The narrow streets of Baga, an enclosed medieval square start and the charge of 1000 runners at the toll of 0700 make the opening minutes a heart pounding, adrenaline rushed sprint. Ironic for a race that will take the winner 12+ hours. Immediately it’s hand-on-knees and straight into the first and highest climb of the day. It’s a dangerous mountain to start a race with. The effort and commitment just to get to the top requires a 100% effort, and this is all coming in the opening hours of a very long day on an exceptionally tough course. Finally breaking the tree line, the rugged terrain reveals itself and the first peak, with refuge, finally will come into sight. On a clear day, the views are incredible. The crowd support phenomenal. It’s a frenzy of noise, cowbells and screaming. In the men’s race, Remigio Huaman dictated the early pace followed by Miguel Heras. Gemma Arenas started the day as she would continue, from the front followed by Hillary Allen. The race was on between the two of them for the SWS 2016 title – if either won the race, they would be the champion for 2016. What goes up must come down and the first descent is single track, off-camber trails with technical sections in and amongst trees. Sections of via ferratta are present on rock; a clear sign of the severity of the terrain. Rolling terrain provides some respite but it is early days. Dropping down, a short climb at 28km, ‘Serrat’ leads to another long descent and an aid at ‘Bellver.’ A third of the race completed, a long and relentless series of climbing takes place over the following 25km’s through ‘Cortals’ and ‘Aguilo’ to the 2nd highest point of the race at 2300m, Pass de Gassolans. Miguel Heras had now built up a lead of over 20-minutes. It was a lead he would not relinquish… behind, Remigio, after strong opening km’s had dropped from the race opening the doorway for Jessed Hernandes and Cristofer Clemente was pacing his race well slowly moving up. Gemma Arenas was still leading the ladies race with a gap of approximately 12-minutes, Hillary was 2nd and Anna Comet had moved into third. Alternating hiking and running, the race is all about economy of effort for those at the front of the race, it’s about effort management to sustain the energy to the line and hopefully victory. For everyone else, it is survival. At 70km covered, the race may well be considered to be downhill to the finish in Baga, but no, the race has a series of false flats with a couple of brutal cardiac moments that arrive at 86km and 96km; the latter a technical ascent of 1000m to Sant Jordi at 1500m altitude. It’s a stunningly scenic canyon and if it was maybe not for uncontrollable fatigue, it would be a highlight of the race. The final 10km drop to the line is broken up with another 200m climb with 6km or so to go, the rapturous high-five welcome from thousands in Baga providing some compensation for the efforts left on the mountains and trails of the Cadi-Moixero Natural Park. Miguel Heras arrived first in just over 12-hours (12:05). Finally, some luck for the Spaniard who has had some intense highs and lows over the years. Jesse Hernandes and Cristofer Clemente placed 2nd and 3rd, 12:40 and 12:47 respectively.. Cristofer successful in his bid to be the Skyrunner World Series Champion in 2016. As darkness came, so did the rain. Torrential rain! Hillary Allen pursued Gemma hard over the final km’s, she could potentially smell the Skrunner crown… However, Gemma held on to win in 15:20. Hillary completed in 15:37 and Anna Comet placed 3rd in 15:49. Gemma was crowned 2016 Skyrunner World Series champion. The 2016 Skyrunner® World Series championship for the ULTRA distance will be decided in Spain this coming weekend at the Ultra Pirineu located 2-hours north of Barcelona in the Parc Natural del Cadí Moixeró. A 110km race with 6800m of ascent, Ultra Pirineu is a seriously tough way to end a season. As the last race in the calendar, a 20% points bonus is available and therefore a good placing is required to guarantee a podium place for the 2016 series. Cristofer Clemente, recent winner of the RUT placed 5th at Ultra Pirineu in 2015 and this year is leading the Skyrunner® World Series ranking. He will be looking for a strong showing in the race but more importantly, he will be working out calculations to make sure that he retains his position at the top of the series. Roger Viñas has been a revelation in 2016 consistently racing and performing to accumulate points and place within the top-3 of the Skyrunner® World Series. His presence at Ultra Pirineu is two-fold just like Cristofer, have a good race but more importantly retain his position within the ranking. Legendary runner Miguel Heras, will toe the line and he is no stranger to the Ultra Pirineu. He placed 1st in the race in 2010 and 2011 and in 3rd in 2015. Miguel is one of the most talented runners in the world but is often prone to injury. When he is in-form, he is often unstoppable and he may well be looking for the good old days of 2010 and 2011 in 2016. Pau Capell has consistently grown as a runner over the past few years and this was confirmed with victory at the TDS and a strong performance at Transgrancanaria earlier this year – along with Cristofer, I see Pau being a potential winner of the race. Yeray Duran, although not contesting the Skyrunner® World Series is a potential winner of the race and like Pau has slowly but surely impressed over the last couple of years with strong and dominant performances. Dimitry Mityaev had a stunning race at High Trail Vanoise which unfortunately left him injured. However, if he is fit and has the form shown in France, he may well be a podium contender. Marcin Swierc currently is placed 4th in the Skyrunner® World Series and his placing and the placing of Roger Vinas and Cristofer Clemente may well be instrumental in his opportunity to move up and on to the podium – remember a 20% bonus is available. Nuno Silva (5th) Remigio Huaman (6th) and Fulvio Dapit (8th) are all top-10 contenders on the Skyrunner® World Series and with this race coming so late in the season, many possibilities are available for a jump upon the rankings. Francesc Soler, Cristobal Adell and Toti Bes make up the other main contenders for the top-10 places. In the ladies’ race, Ida Nilsson is without doubt the hot favourite for victory after showing fine form at the season’s opener in La Palma, Transvulcania! Recently, Ida backed this up with victory at the RUT. Ida does like to run and the relentless 6800m of vertical in Spain will test her. The USA’s Hillary Allen (2nd on ranking) is making the long journey to Spain to participate in the final race of the series in the hope to gain more points after placing 2nd at Ultra SkyMarathon Madeira and 3rd at the RUT. Gemma Arenas, like Hillary, has been consistently gaining points in the Skyrunner® World Series in 2015. She won in Madeira and last year placed 4th at Ultra Pirineu. A recent ‘dnf’ at UTMB may well leave Gemma feeling a little tired? It’s all to fight for in Spain. Anna Comet (6th) and Kristina Pattison (5th) have been ever-presents on the 2016 series and they have both placed consistently. Here in Spain, they may well find that little extra to move up the rankings and gain additional important points. Tina Bes will also be a contender for the podium. A huge ball may well come from Maite Maiora who usually prefers the SKY distance. In recent years she has raced longer distances and we have seen her on the podium at races such as Transvulcania. Recently she was crowned Skyrunning World Champion at the Buff Epic. The terrain here in Spain suits this fierce competitor. As with any race, we can expect surprises. Action starts on Saturday and you can follow as the race unfolds via the usual social media feeds and live via tracking on the race website. Every two years the Skyrunning world assembles at an iconic venue and racing commences in VK, SKY and ULTRA distances to announce a male and female champion in the respective distances. Two years ago, the endurance capital of the world Chamonix, hosted the championships and this year it is Spain. The Vall de Boí in the Spanish Pyrenees will provide a modern day coliseum where Skyrunning gladiators will battle at the BUFF® Epic Trail Aigüestortes events. A spectacular natural arena surrounded by 3,000m peaks and 200 mountain lakes. Rich in cultural history, it is also a UNESCO World Heritage site. Luis Alberto Hernando, Laura Orgue, Oihana Kortazar, Augusti Roc and Elisa Desco. In 2014, Australia were a dominant force and surprised many with break through performances, once again they return with a super strong field. The Czech Republic, Japan and Portugal are also sending talented squads, for many, it may well be a first racing in Europe or the high mountains of the Pyrenees. In total, 35 different countries will be represented. Events start on Friday July 22nd with the VK, on Saturday 23rd it is the ULTRA and closing events on Sunday 24th is the SKY distance. Importantly, WADA anti-doping tests will be carried out at the Championships managed by FEDME, the Spanish Mountain Sports Federation and ISF member for Spain which will sanction the events and oversee them with their referees. The organisation will be in the capable hands OCI Sport, with whom the ISF has collaborated on a number of high-profile events including the 2012 SkyGames® in Andorra and Spain. VK – For the short and steep specialists, the BUFF® EPIC TRAIL VK is 2.8 km long with 1,030m positive climb. The average incline is 30.7% and reaches a mean 50.4% at the steepest point. It is capped at 250. Ferran Teixido from Andorra is currently ranked highly on the SWS2016 and we can expect strong competition from Saul Antonio Padua, Andrej Fejfar, Augusti Roc, Jan Margarit, Alexis Sevennec and Pascal Egli. Laura Orgue just did the ‘double’ in the Dolomites winning both VK and SKY and will be hot favourite on home soil. However, Christel Dewalle will have other ideas and the race may well be a head-to-head between the two. Vanessa Ortega, Yngvild Kaspersen, Therese Sjursen and Ekaterina Mityaeva. SKY – The rugged BUFF® EPIC TRAIL 42KM is a point to point with 3,200m positive vertical climb. Again, a highly challenging extremely technical race with a nine-hour time limit capped at 500. Is going to be fast and furious and the lineup is stunning with Tom Owens, Blake Hose, Manuel Merillas, Pascal Egli and Marcin Swierc pushing for the top slot. But strong competition will also come from Marc and Oscar Casal Mir, Pablo Villa, Jessed Hernandez, Alexis Sevennec, Dai Matsumoto and Artem Rostovstev. Elisa Desco, Yngvild Kaspersen, Azara Garcia and Maite Maiora form a stunning quad of talent but Oihana Kortazar, Ida Nilsson, Marta Molist, Ragna Debats and Katrine Villumsen will make sure that the run for the line is not an easy one. 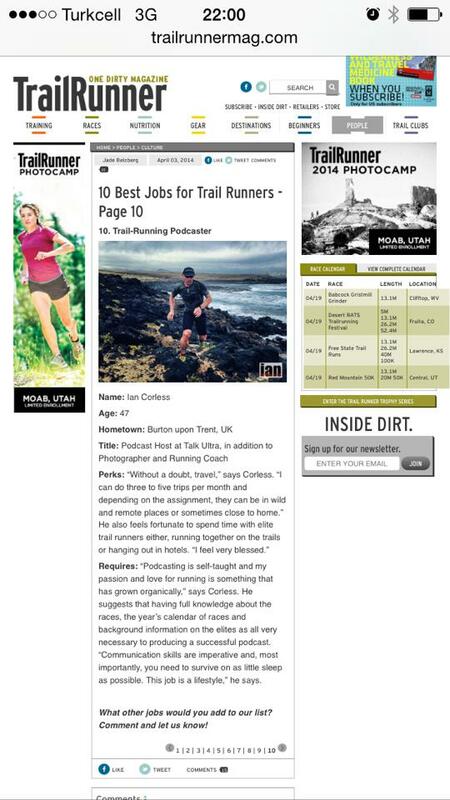 Dark horse is the UK’s Jasmin Paris – watch out. 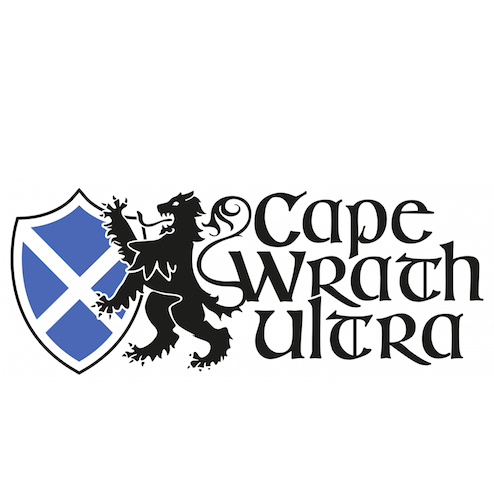 ULTRA – The BUFF® EPIC TRAIL 105KM, with a grueling 8,000m elevation gain and a maximum gradient of 56%, is as tough as they come. Strict qualification standards will be enforced for participants, which are capped at 250. The ultra is the big one and I have to say the talent is what one would expect when a world title is at stake. Luis Alberto Hernando may well be the one to beat on home soil but Andy Symonds after recent success in Lavaredo will push him. As will Franco Colle, Majell Backhausen, Zaid Ait Malek, Cristofer Clemente and Ben Duffs. Miguel Heras is also toeing the line and if in form, watch out! Fulvio Dapit, Leonardo Diogo, Nuno Silva, Jan Bartas and Pau Bartolo are also strong contenders. The ladies race is equally editing with Caroline Chaverot being the lady to beat. She has been on fire this year! Ruth Croft made the podium at Transvulcania but arguably local lady, Nuria Picas is the one to upset the apple cart. A strong fight will come from Fernanda Maciel, Anna Strakova, Gemma Arenas, Hillary Allen, Ester Alves, Kristina Pattison, Soto Ogawa and let’s not forget Mira Rai who is returning from injury. World titles and medals will be awarded, crowning the champions of the Ultra, Sky and Vertical disciplines together with combined titles and country ranking. A total of twenty-seven medals and a €20,000 prize purse await the champions of these prestigious competitions. Alpina Watches, 2016 Skyrunning World Championships Official Timekeeper, will award six prestigious Alpina Horological Smartwatches to the male and female champions of each category, Vertical, Sky and Ultra. The Vall de Boí will also host the 2016 ISF General Assembly on July 22, which will be attended by members from far and near. Check out details of the three World Championship courses here. The 2016 Skyrunner® World Series arrived in Madeira, Portugal for the Ultra Skymarathon Madeira (USM) – a tough and challenging 55km ultra with 4000m of vertical gain. The 2016 edition had a minor change to 2015, an extra section that added more technicality and potentially more time… could the times of Ricky Lightfoot and Stevie Kremer be beaten? The USM course is a unique one. Weaving up and down mountains, around beaches, through dense undergrowth, up a riverbed and of course plenty of climbing and descending. 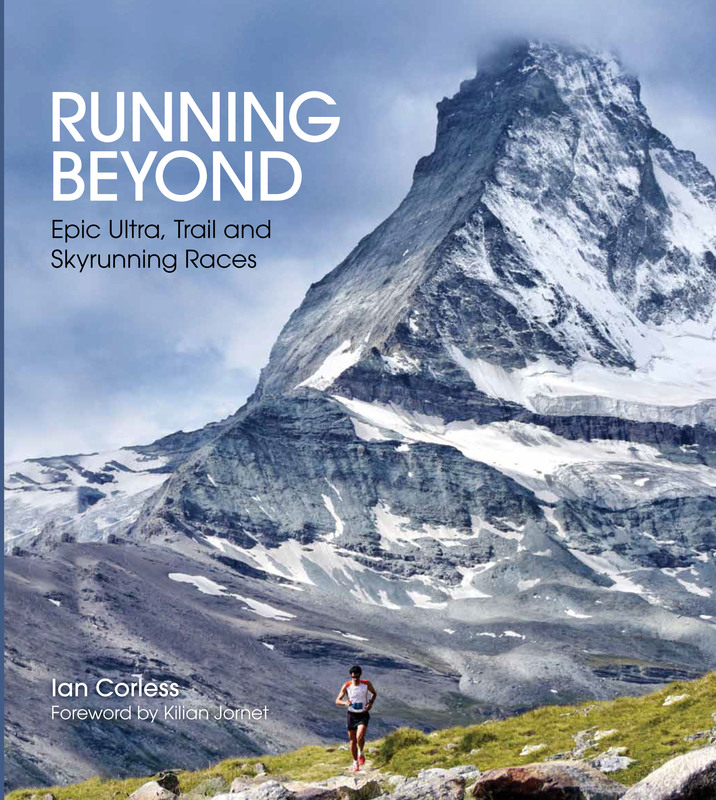 It’s not your ordinary Skyrunning course! Departing the start line at 0600 on the dot, the runners disappeared down a darkened lane with only head torches for company, it was going to be a great day – the sky was clear and the stars were sparkling in the sky. Just 1km to warm up and then a climb of 1400m straight up to the highest point of the island – pure Skyrunning. The runners climbed and a section of via ferreta was the prelude to the new course addition, instead of following the stone steps to the off-path climb to the summit, runners dropped down once again to take in a technical descent and ridge climb. A final push to the summit; It wasn’t easy going. The sky was blue, the sun was beating down but despite the picture postcard, it was hard graft. Andre Jonsson (Sweden) and Dimitrios Theodorakakos (Greece) were the first to appear. The contrast between the two striking, Andre is tall and with an ultra runner beard. Dimitrios is stocky, well built and all power. They matched each other step-by-step. A string of runners appeared all looking relatively calm and relaxed considering the severity of the course – it was early days!. At the summit of Pico Ruivo the ladies arrived, first was Anna Frost, closely followed by Gemma Arenas. Running the ridges and several more climbing sections, the front of the race didn’t change until a decisive phase around the 36km mark. Climbing from the sea and beach, Andre Jonsson continued to lead looking strong. However, Dimitrios looked to be struggling a little and Cristofer Clemente was closing. After 5km of ridge running and a technical descent, a riverbed with boulder hopping awaited. Cristofer made his move and passed Dimitrios and went in pursuit of Andre. “I had felt great, running within myself and in the riverbed I cooled down but then in the early section of the final climb I just had no energy, the heat hit and that was it! Cristofer took the lead, opened a gap and won the race by a clear margin. Dimitrios held on for 2nd and local runner, Luis Fernandes went past Andre to take 3rd. The 3rd edition of the Ultra Skymarathon Madeira has been a great success. Despite a potentially more difficult course, both the men’s and ladies records were broken! The top 2 men and top 5 ladies all broke the previous records. This is extremely significant and reflects the quality of the male and female line-up – world-class runners pushing hard for victory and resulting in fast times. João Canning Clode, USM co-director and PR commented, “We didn’t expect to break the standing records but given the good weather this year and the strong competition, it was a welcome surprise. Madeira is an amazing island with a tough and challenging course. The future looks bright for this new addition to the Skyrunner® World Series. Cristofer Clemente now takes over the Ultra Series ranking lead for the men and Gemma Arenas for the women. Look out for the next Ultra Series race with the new High Trail Vanoise in the renowned ski resort of Val d’Isère, France on July 10. 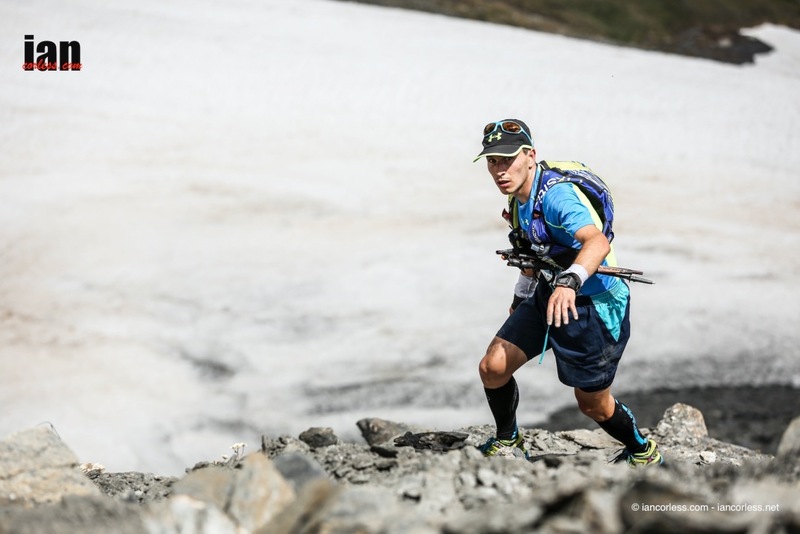 Later this month the Skyrunner® World Series will head for North Eastern Italy with the Santa Caterina VK and the Livigno SkyMarathon® on June 24 & 26. Running and ultra running really is booming in Portugal. Carlos Sa and Ester Alves amongst others are paving the way. Madeira, an island in the Atlantic Ocean lies west and slightly south of mainland Portugal and it is an incredible natural landscape that cries out for challenging races. Madeira is of volcanic origin with extremely rugged topography, as such, it’s the perfect location for a Skyrunning race. The USM is a technical mountain race which consists of steep slopes and trails covering a distance of 55km and 4000m of vertical gain. 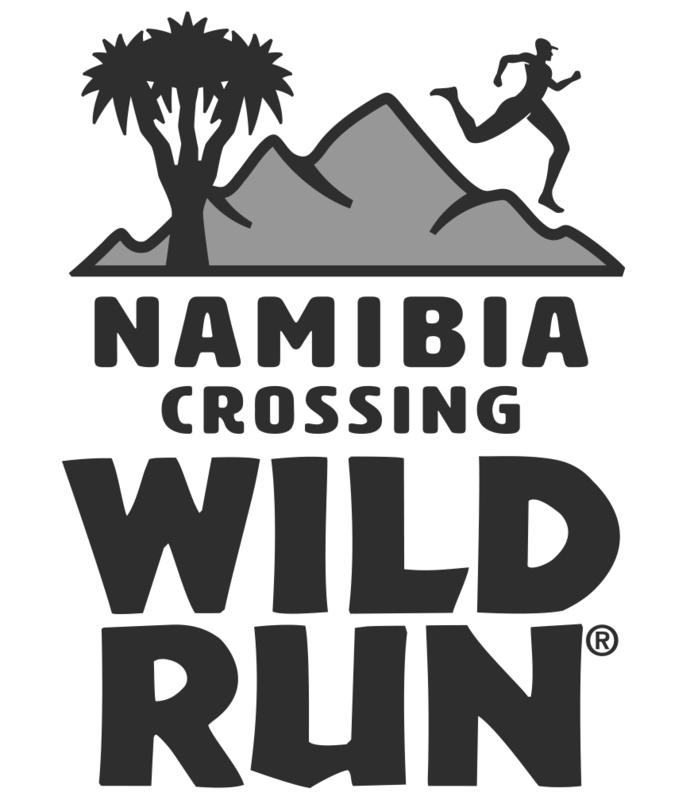 It is no ordinary race and one that combines mixed elements in a wonderful natural playground for the adventurous runner. Comprised of passages which require technical climbing expertise of grade 2, stunning mountain scenery, mountains, sea cliff landscape plus the addition of an up river boulder hopping scramble; yes, the Ultra SkyMarathon Madeira is a unique race. Starting in the town of Santana, a northern municipality of Madeira Island,the runners soon head up a climb of 1400m to Encumeada Alta (1750m). Cloud inversion happens often here and suddenly runners can feel as though they are floating. In the distance as altitude changes, islands appear in and out amongst a sea of clouds. For the first time, the island of Madeira, Portugal, will feature on the Skyrunner® World Series. The 55 km course with a brutal 4,000m vertical climb will welcome runners from across the globe up for the challenge. Frosty will be joined by Americans Hillary Allen, who is looking strong after her 5th place in Transvulcania and Kristina Pattison who is now fit and fired up to compete in Madeira after a recent illness and a a late withdrawal from Transvulcania. Strong competition will come from Spaniards Gemma Arenas (6th) and Anna Comet, who placed third overall last year in the SWS. Cristofer Clemente from Spain, second on the 2015 SWS Ultra ranking and in last year’s race, is among the men’s favourites with new-entry Remigio Huaman from Peru who finished 7th at Transvulcania. The line-up includes Philipp Reiter from Germany who has been missing from racing for some time, Jan Bartas from the Czech Republic, Dimitrios Theodorakakos from Greece, Pau Bartolo as well as competitors from Japan Skyrunning. Nuno Silva and Ester Alves, 2015 Portugal National Champions, will no doubt perform well on home ground after placing respectively 3rd and 2nd last year. Notable absentees include Mira Rai with a stress fracture and Paul Hamilton who will sadly miss the whole season. Also, Alicia Shay and Chris Vargo are unable to race (they have had to return to the USA) even though they travelled to Madeira directly after two great runs in La Palma at Transvulcania Ultramarathon. The Madeira Ultra SkyMarathon®, now in its third year, perfectly embodies the sea-to sky concept pioneered by skyrunning – with some very technical stretches up to Grade II, and a via ferrata sections just below the island’s highest point at 1,861m altitude. Anticipation mounts for Saturday’s race where the top runners can be followed with our new live tracking system.